I have always been fond of coconut scent. It gets super yummy when it is mixed with vanilla scent. Sounds great right? It is possible with Sugared Love Coconut Crème Organic Scrub. 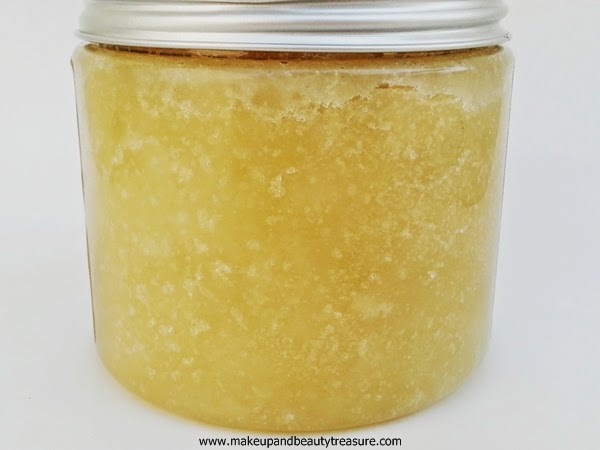 Sugar scrubs work like a wonder on skin and my skin has been super soft and smooth since the time I am using this organic body scrub. 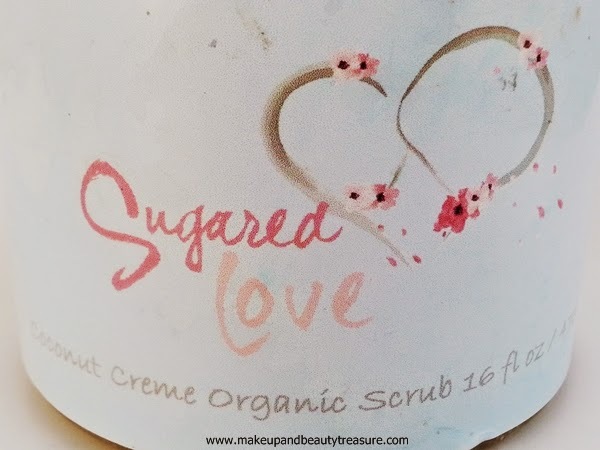 Today I am going to review Sugared Love Coconut Crème Organic Scrub. 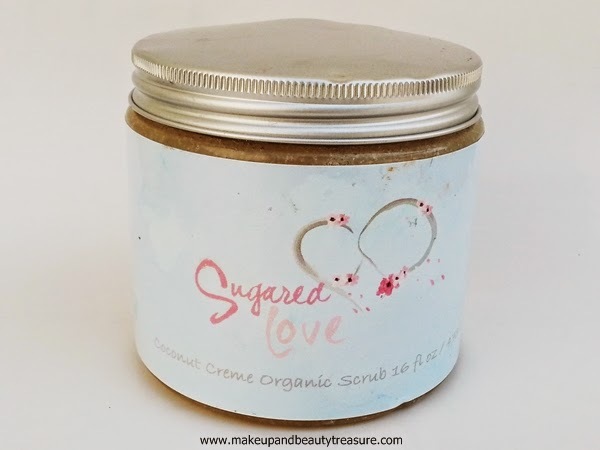 Sugared Love Coconut Crème Organic Scrub comes in a sturdy, clear plastic jar with a silver screw top lid. The packaging is super simple yet screams organic. All the information is printed on the jar. The packaging is quite light so it can be easily carried around in a bag while traveling. As soon the lid is unscrewed, you will find that the scrub is filled to the brim. The scrub is light yellow in color with a divine and yummy scent. The scent is a mix of coconut and vanilla that is very mild and feels super yummy. It comes in various scents- jasmine, coconut lime, lemon, strawberry, mango, lavender, pineapple and coconut cream. I have the variant coconut cream. 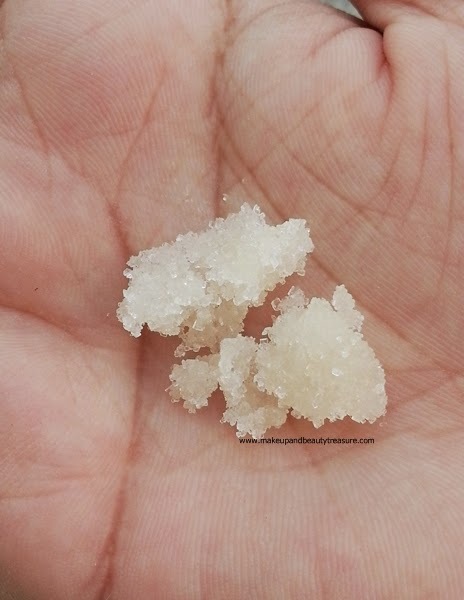 The texture of the body scrub is smooth yet grainy just like sugar mixed with oils. 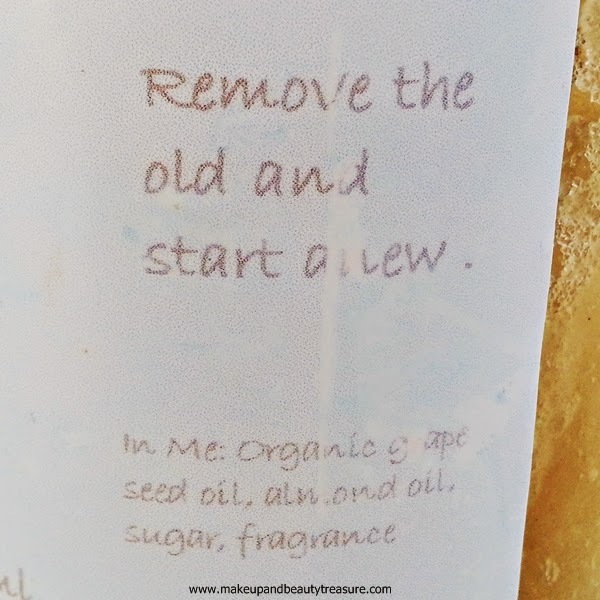 You just need to pour a small amount of scrub onto your hands and apply it in gentle circular motions onto your damp skin until it gets dissolved. It feels really gentle and does not get scratchy at all. It spreads easily so you do not need much of the product. I love the way it removes dead skin and polishes it. It does not tend to melt right away and gives you time to scrub away dead skin cells. It leaves my skin incredibly soft, smooth, glowing and wonderfully polished. My skin has never felt this soft, smooth and healthy before. It contains cane sugar and various oils like shea oil, almond oil, jojoba oil and Vitamin E that keeps skin super moisturized and bright and I do not feel the need to moisturize my skin though I do it anyway. I was skeptical if it would leave my skin greasy but it rinses away quickly and does not leave any oily residue behind. The scent fades away as soon as the scrub is rinsed away. It works like a charm on drier parts like heels, elbows and knees. I have not faced any adverse effects whilst using it. • Yummy and delicious scent. • The scrub particles aka sugar are mild and do not scratch the skin. • Removes dead skin cells effectively. • Makes skin super soft, smooth and radiant. • Rinses away easily without leaving residue behind. 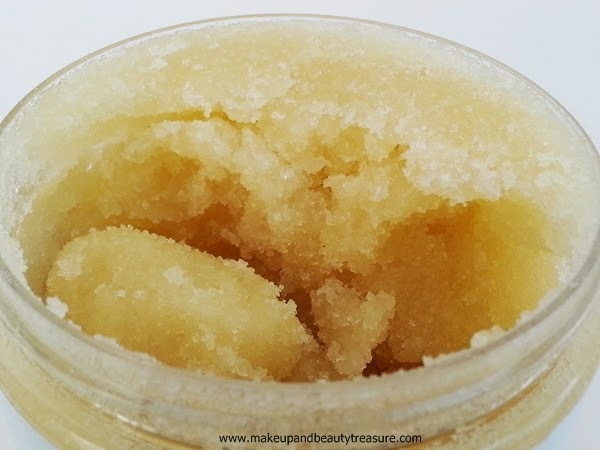 Sugared Love Coconut Crème Organic Scrub is a yummy treat to your skin. It not only smells yummy but makes skin feel super soft, smooth and moisturized. My skin had never felt this soft before. It keeps my skin in superb condition in this super cool weather. It is an all organic body polish and I would highly recommend it to everyone! Have you tried Sugared Love Coconut Crème Organic Scrub? How was your experience? Share in the comments section below!